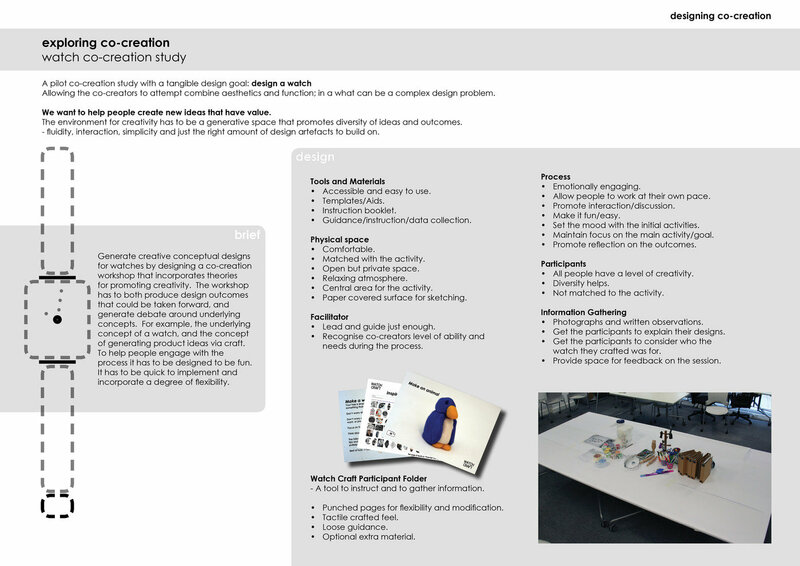 A design research project - how do we design co-creation? 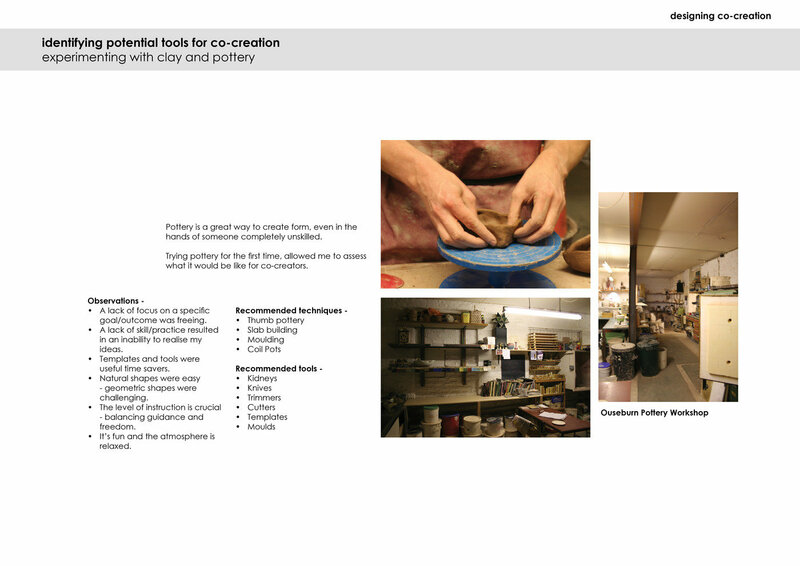 co-creation - This work on co-creation was derived from an interest allowing end users to customise products. 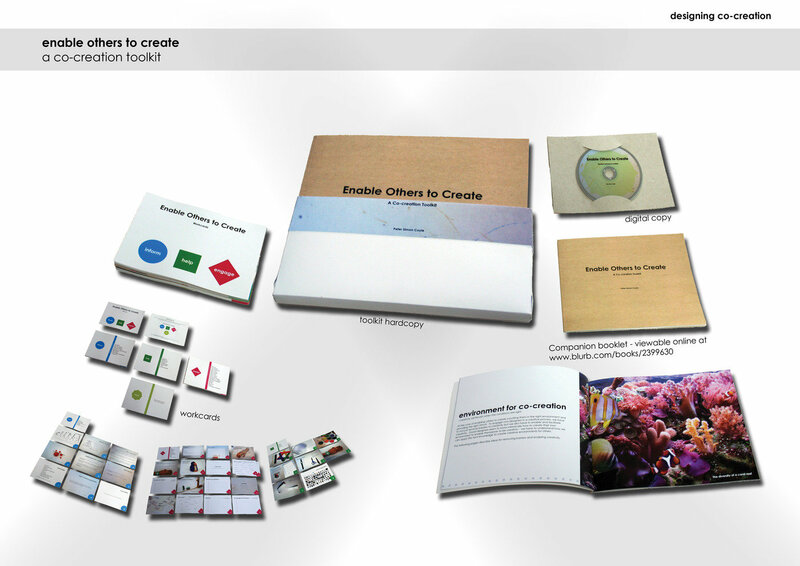 The work evolved from focusing on a product to designing the means of co-creating. 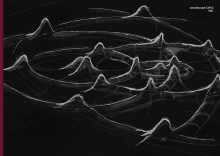 3d scanning - I have experimented with several tools for potential use in co-creation activities. 3D scanning strikes me as an ideal way of removing the need for participants to have CAD skills to create 3D digital data. See wiki.makerbot.com/3d-scanner for 3D scanner instructions. claywork - This sheet details some reflective research carried out into creating form with pottery. 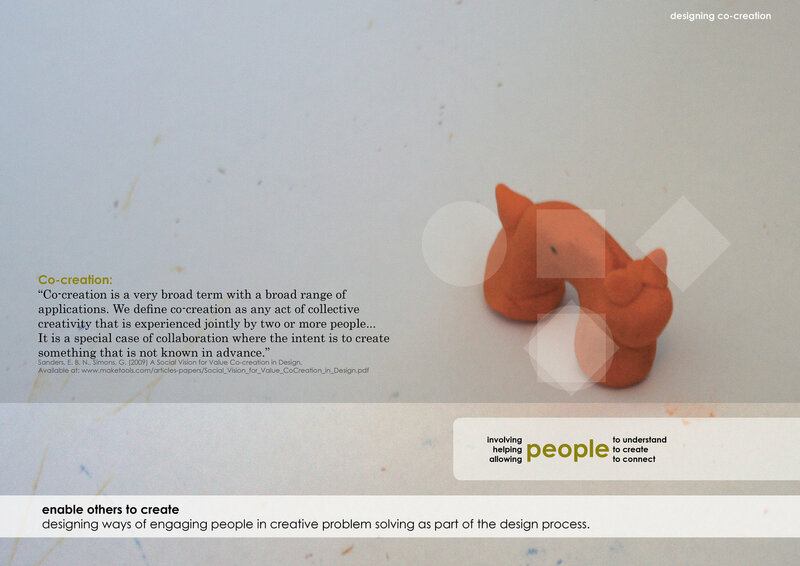 pilot study - A workshop designed to explore ideas around co-creation. 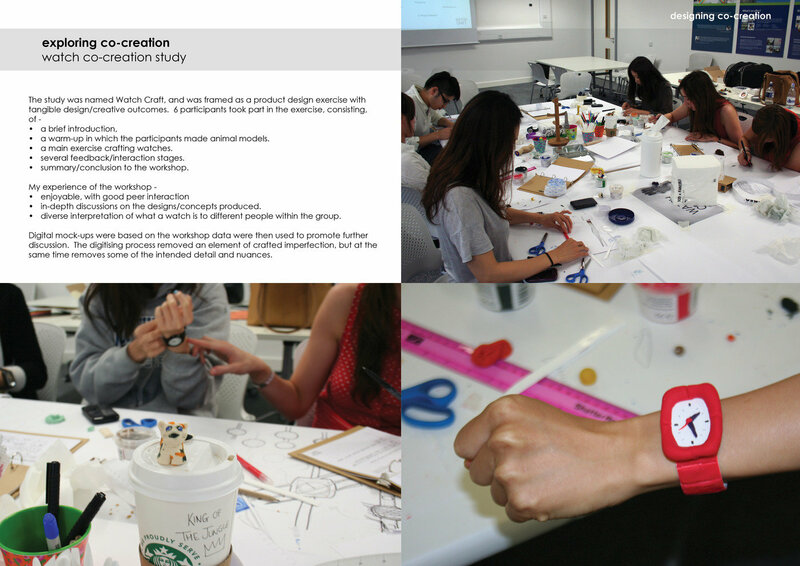 The workshop intends to produce useful design outcomes as well as engaging the participants in the subject. 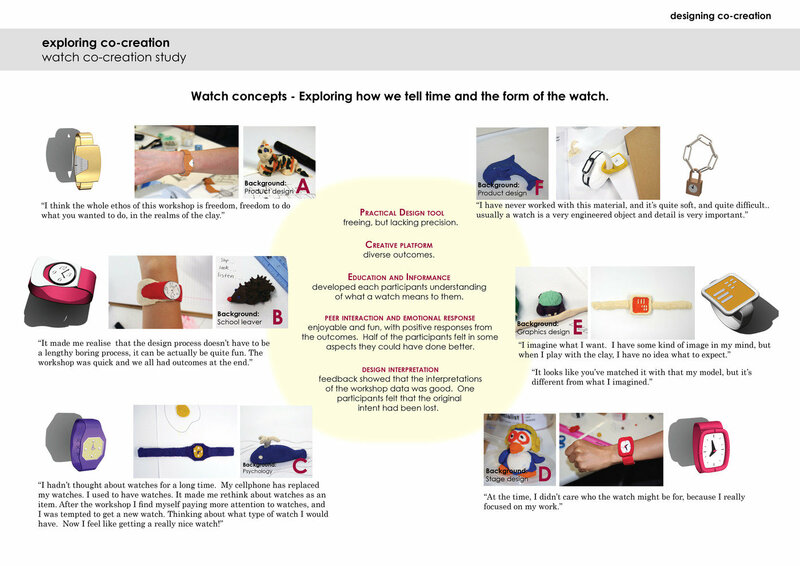 pilot study - Sample images from the pilot Watch Craft workshop. 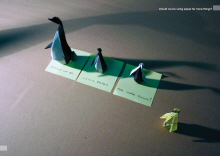 pilot study outcomes - 6 participants each produced an animal and watch model. 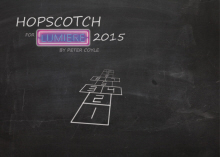 Feedback during the workshop and post workshop interviews highlights the weaknesses and strengths of the approach. 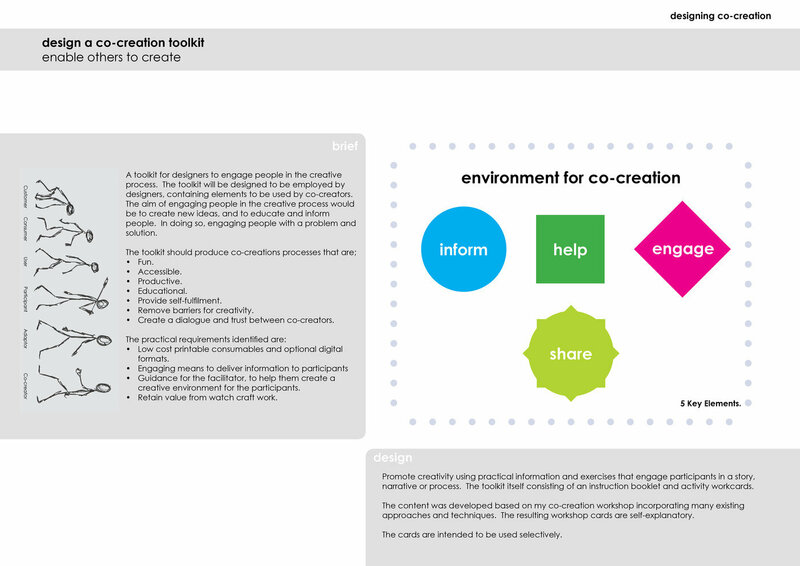 toolkit design - The insights from a pilot co-creation workshop were used to develop a toolkit, called "enable others to create" which consists of a instruction booklet and activity workcards. 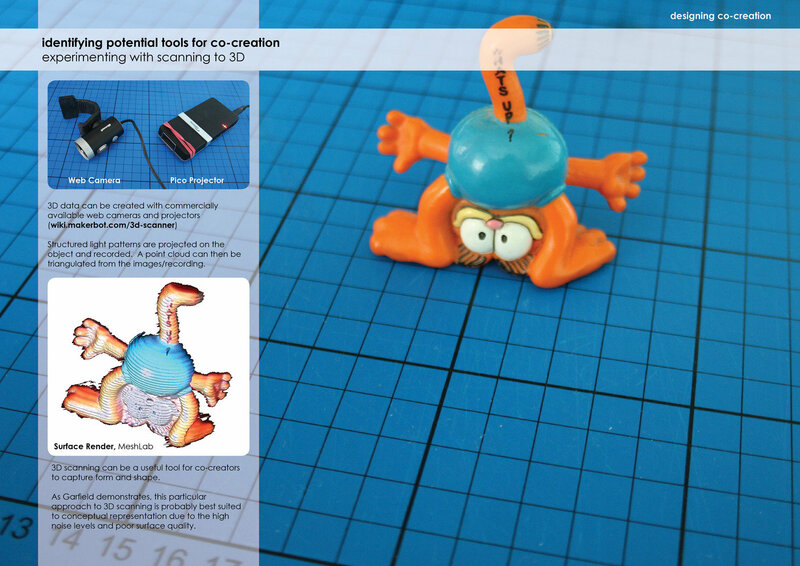 enable others to create - a co-creation toolkit - The contents of the Enable others to create toolkit. Please feel free to get in touch if you would like more information digital copies of the toolkit or the related thesis.